Like me, Amy lived in New York City for decades. I remember listening to her for years as the host of All Things Considered on WNYC, New York’s public radio station. We never knew each other in New York, but when we finally met through mutual friends in Cleveland last year, we discovered that we had much in common. In addition to doing decades in NYC, we were both native Clevelanders who boomeranged back home with a continuing love of city life, both choosing to settle downtown. Amy Eddings and George Hahn, co-hosts of The Downtowner, at the corner of Public Policy and Lifestyle (actually the corner of E. 9th Street and Euclid Avenue). Photo by Drew Maziasz, ideastream. Amy’s podcast pitch focused on Downtown Cleveland. Despite an overall population decline in the Greater Cleveland area, the 3.1 square mile area of Downtown Cleveland has been enjoying an unprecedented surge. Since 2000, downtown’s population has increased 79%, reaching over 15,000 residents in 2017. Converted warehouses and other apartment buildings have growing waiting lists, and more than 1,000 more units will be ready for new tenants within the next year. By 2020, more than 20,000 people are expected to be living downtown full-time. Our new podcast, called The Downtowner, meets at the intersection of public policy and lifestyle. We plan on talking to movers, shakers and policy makers as well as residents, local business owners and everyday people of Downtown Cleveland. What’s fabulous about living in Downtown Cleveland? What could be better about it? I’m very excited about the project for several reasons. First, as someone who writes not just about sartorial stealth but also about effective living, I find the affordability and the overall bang you get for the buck here is very undersold. The apartment I live in would easily cost five or six times as much in New York, which is, shall we say, not effective living. The opportunity to share that enthusiasm and explore the hidden benefits of living in Downtown Cleveland is very gratifying. While we’ll certainly have an audience in the Greater Cleveland area, we also hope to pique the wider interest of city life enthusiasts, the “Cleveland-curious” and the people who are feeling priced out of increasingly unaffordable cities and looking for other viable options (like Cleveland). I’m also jazzed about working with Amy. She’s a real veteran journalist and she’s teaching me so much. I feel like I’m sitting next to Lois Lane. She and I are seeing downtown through the lenses of native Clevelanders who returned home after living in the big city for decades, giving us a unique experiential perspective. 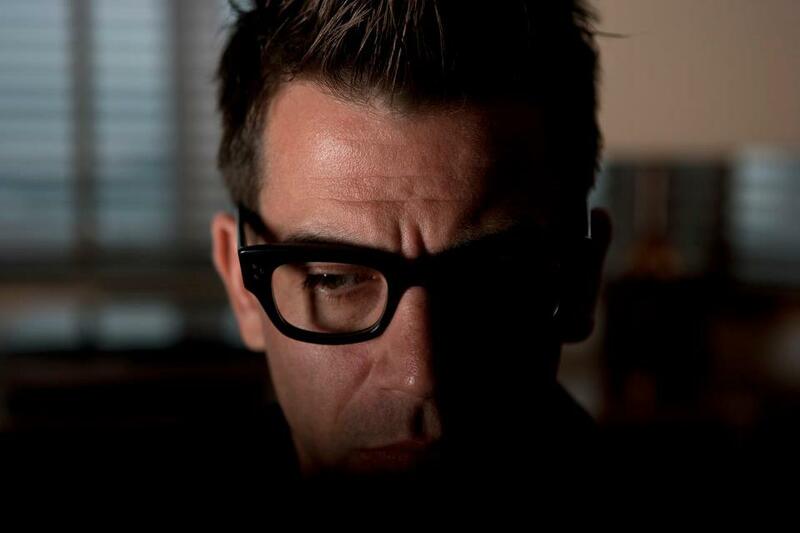 Produced by ideastream, The Downtowner is Cleveland’s only podcast exclusively dedicated to Downtown Cleveland, and Amy and I are – as far as I know – the only ones working this beat who also happen to live downtown. We’re doing this because we love cities and we love Downtown Cleveland. Seeing Downtown Cleveland after being away for 27 years is like seeing an old friend or family member who lost a ton of weight (and maybe had a little work done, too). This great city on a beautiful Great Lake is a gorgeous work-in-progress, filthy with potential for growth in all directions. It’s exciting to witness it first-hand. This podcast is a platform for sharing those stories. Follow The Downtowner on Facebook, Instagram and Twitter. 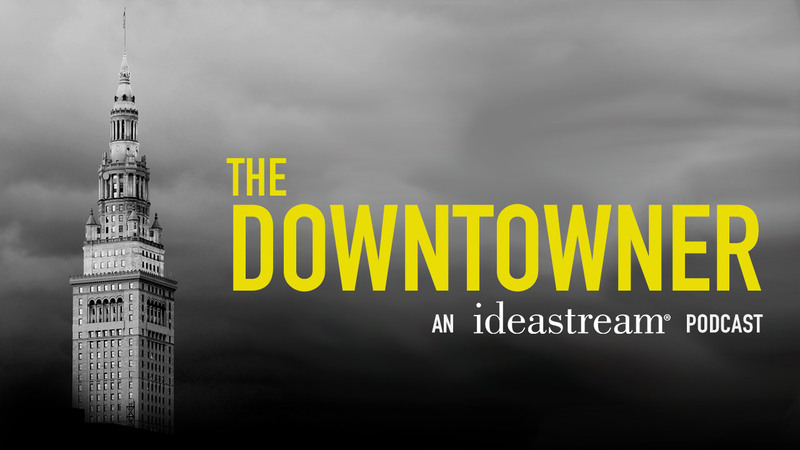 Learn more about The Downtowner at ideastream. This is going to be good, George! I feel it. The city needs it. Well done. You deserve this kind of platform. Good luck.